If you’re going to call your TV show CHASE, it’s probably a requirement that it contain an actual chase sequence. NBC’s new CHASE gets that out of the way early by hitting the ground literally running, continuing the theme throughout the hour, and wrapping up with a chase by land, air and sea (well, river, at least). The episode hits the ground literally running, with U.S. Marshal Annie Frost (Kelli Giddish) chasing a fugitive on foot through Fort Worth, Texas. She is joined in this pursuit by her partner, Jimmy Godfrey (Cole Hauser). Eventually Annie runs down the fugitive and after a vigorous bout of hand-to-hand combat, she subdues him. 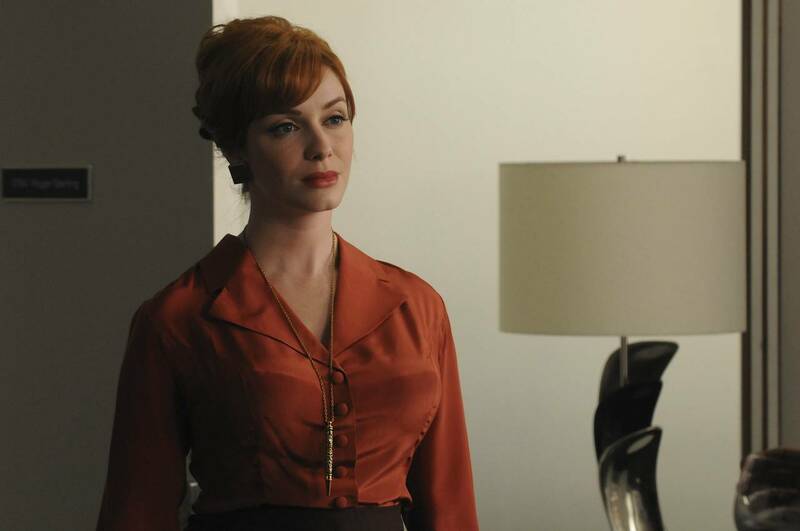 This week’s MAD MEN was all about the ladies, and the myriad ways these diverse females – from daughter Sally to colleague Peggy to lover Faye to crusty matron Miss Blankenship – find to vex Don. Nothing like a little roll in the hay, and Don (Jon Hamm) and Faye (Cara Buono) wreck his place – or at least a lamp. Unbelievably, he has to leave to meet officials from a laxative company. She prefers to keep her afternoon confidential, suggesting building a “Chinese wall.” (That means she wants to maintain a strict separation between their fiefdoms. This episode of NIKITA had something of a split personality, which was fitting, considering that it told two stories; one set in the present, and one dredged from the past. In the present, Percy (Xander Berkley) had hired out Division as a protection service for war criminal Mirko Dadich (Kristof Konrad). Division is supposedly holding Dadich in “protective custody” while he awaits trial, but Percy is after nuclear materials that Dadich hid before being arrested. Percy also engaged in literal pimping, when he ordered Michael (Shane West) to procure one of the young female trainees to serve as a… er, companion for Dadich, who was fresh out of prison and feeling a bit…frustrated. Michael took it upon himself to pull Alex (Lyndsy Fonseca) out of class, had Amanda (Melinda Clarke) doll her up, and then delivered Alex into the lion’s den. A smart kid, Alex quickly realized what was expected of her, and she managed to alert Nikita (Maggie Q) that Dadich, the very target Nikita had been hunting on her own, was in the room with her. Sarah Jane and Jo: Together Again for the First Time! Details are leaking out about “The Death of the Doctor,” a two-part story to air in the forthcoming fourth series of THE SARAH JANE ADVENTURES that will feature guest appearances by Matt Smith as the Doctor and Katy Manning reprising her role as Jo Grant, erstwhile assistant to the Third Doctor, appearing alongside series star Elisabeth Sladen. HELLCATS upped its game this week when it wasted no time diving into the backstories of its two leads, Marti and Savannah, showing just how similar they are by contrasting their problems with their mothers. As the qualifier tournament began, Marti (Alyson Michalka) was horrified to discover that her mother, Wanda (Gail O’Grady) was trying to get backstage, which really freaked out Marti. Which was what Alice (Heather Hemmens) had in mind. Which horrified Lewis (Robbie Jones), who realized that Alice was not only mucking with Marti, she was endangering everyone’s scholarships. Which Alice didn’t care about, because she’s a trust-fund baby who doesn’t need any scholarship. Alice needed revenge against Savannah (Ashley Tisdale), because Alice was in line for the captaincy before Savannah transferred in.